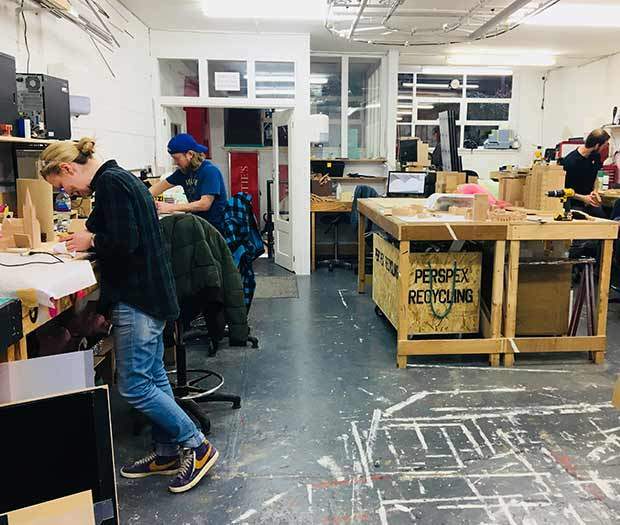 Each day is different at our Shoreditch workshop so maybe that is why our ‘organic’ approach to running the business seems to work like a well-oiled machine. We are a family of 11 with most graduating as model makers from Rochester Kent, Bournemouth & Herts. 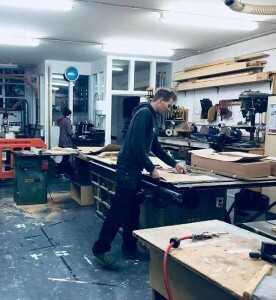 Some have been here at Capital since they graduated and our longest serving employee has been with us for 12 years and is now a workshop manager. 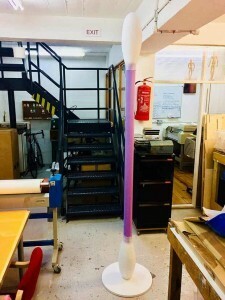 Backgrounds vary from architecture, textile design, laser cutting and even accountancy, so collectively I think it’s fair to say we’re knowledgeable in many areas. 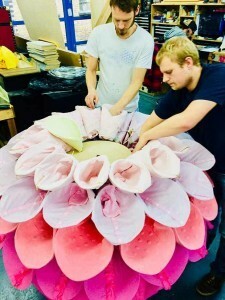 We divide into small teams that see projects through to the end with a number of senior model makers, intermediate model makers, and trainee model makers dividing the skill set within each group according to the project and deadlines. Work flows between teams depending on what is required. So, what is a normal working day like at Capital Models? Well, a normal working day is 9am to 6pm but agreements are in place with a number of staff that need to be flexible to fit in childcare, long commutes, or who are simply not morning people. A couple of employees start at 7am to finish by 4pm, but these are only the most experienced model makers who are able to get on without supervision. Our workshop is based within a 24hr-guarded site with 24hr access but we try not to work overnight unless we have a pre-arranged install. On Tuesday’s we have a management meeting to go through all on-going projects and once a month we have a full workshop meeting where everyone has a chance to have their say, share good news, bad news, challenges etc. Each day is monitored on an ad hoc basis as the workshop floor situation often changes. Lunch times can be chaotic with the three on-site microwaves getting very busy during the lunch rush hour. Most make their own lunch or bring home cooked food in. We all try and take lunch at the same time each day (between 1 and 2pm) to allow the machines to run down, switch off and give a period of peace and quiet in what is normally a noisy bustling atmosphere. On Fridays we often organise to go out for lunch, especially as a treat on paydays. In the summer we take our lunches into the courtyard to catch a few rays of sunshine. There are tables and chairs available for use and there is a lovely community atmosphere with the other businesses that surround us. So, apart from model making, what makes us tick? Well we’re a sporty lot with runners (including 100 mile plus races all over the world), pool players, open-air swimmers (even in mid winter), tennis players and gymnasts. We also have a celebration cake maker, a travel enthusiast and language experts, a multi instrumentalist and a card designer. We have keen narrow boat people and some of us have our own design/art projects on the go. Plus, to add to this pool of talent, we have one (and only one) model train railway enthusiast, which has occasionally come in handy when working on architectural models for regeneration schemes! We all love socialising over the odd glass of beer or wine so it’s perfect for us being situated in Shoreditch. As well as all the above, we work hard to meet the needs of our clients. 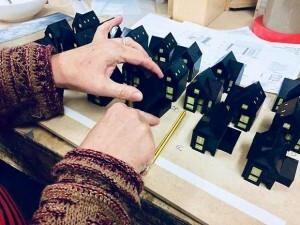 Whether they want giant props such as cotton wool buds and garden trowels, neon signs and light boxes, or architectural marketing models for huge development schemes, as model makers in London we continue to deliver.